Event technology company DoubleDutch is planning to expand after teaming up with private equity firm KKR and securing (£29m) in funding. DoubleDutch cites global expansion, sales and marketing, and targeted acquisitions as the primary use of the funding. The company is currently growing at over 100% year over year. 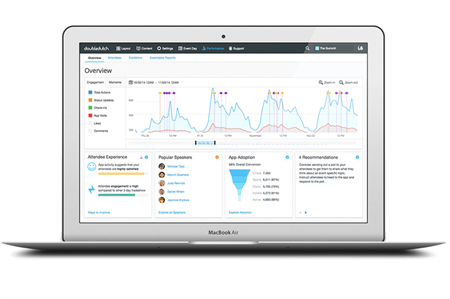 It serves corporate events, associations, and trade shows, providing mobile application for attendees, and near real-time event performance analytics for event organizers after. "It’s an exciting time to be in software," said DoubleDutch CTO Nicholas Clark. "For the first time, we have the ability to instrument the physical world like we would a website, a phenomenon that has the potential to completely reinvent how events and conferences are run, managed, and measured. Marketers no longer need to run blind when it comes to events."